She is one of the most sought-after models out there and Kendall Jenner has scored for herself the April edition of American Vogue magazine. 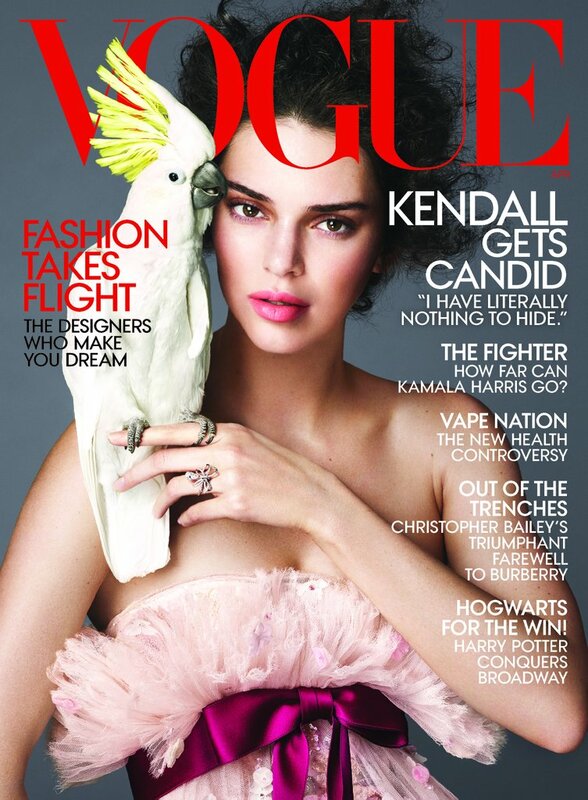 Here, she appears on the cover posing alongside a yellow-crested cockatoo wearing a gorgeous Chanel couture dress from the Spring 2018 collection but you have to wait and see the rest of her looks from the cover spread. In the accompanying interview, the 22-year-old gave an insight into her relationship status and explicitly shut down her gay rumors. Scoot over to Vogue to read more from her interview.